A feast for the eyes. 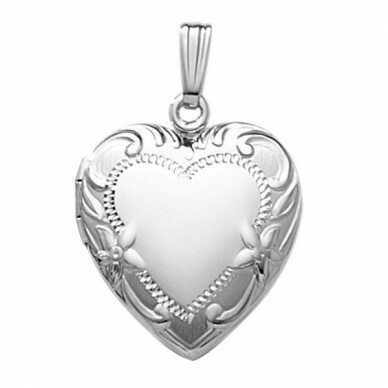 The Juliet, white gold heart locket has the most romantic embossed design. 3/4 " across. 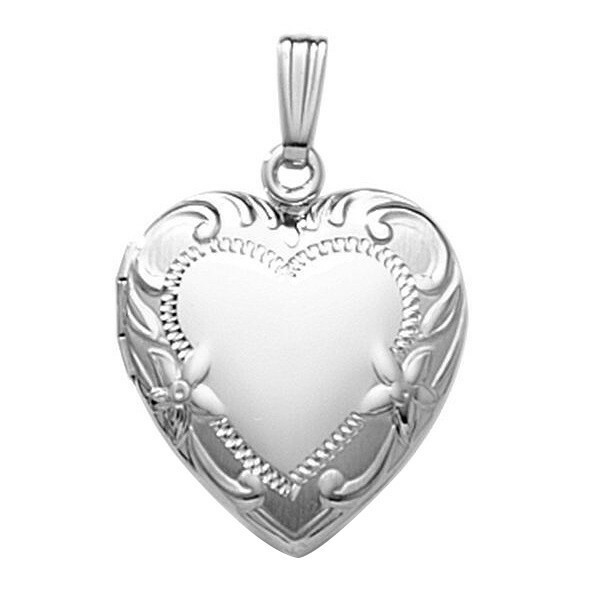 The chain shown is a rolo chain, the white gold version comes with an 18 " gold rope chain(not shown) The center and back are polished and the edges are both polished and brushed. 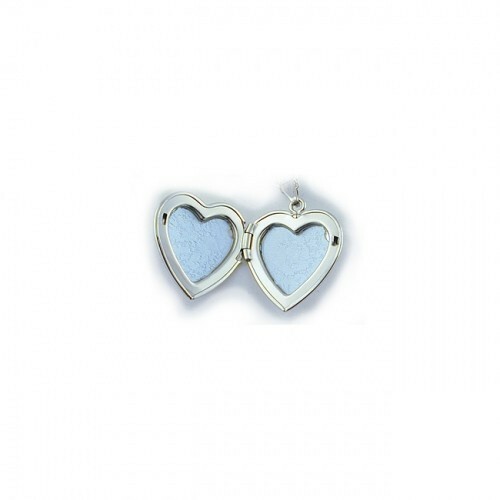 It is quite a beautiful locket.